It looks like celebrated sitcom Derry Girls will get a third season - even though filming hasn't even begun on the show's second run. Broadcast has reported that Channel 4 is in "advanced talks" with Hat Trick Productions to make a third season of Lisa McGee's hit, just months after the sophomore deal was agreed. Commissioned in January, Derry Girls season two was sought immediately by Channel 4 after the programme's debut episode more than doubled the channel's slot average for 16-34-year-olds. A huge hit with viewers, its 1.5 million UK audience was the British network's largest comedy launch since Ricky Gervais' Derek back in 2012. The arrival of Derry Girls - set on Foyleside during the 1990s - made instant stars out of its young cast, particularly Saoirse-Monica Jackson who plays the lead role of local schoolgirl Erin. In July, the show won the Radio Times Comedy Champion award after an intensely close battle with Inside No. 9. 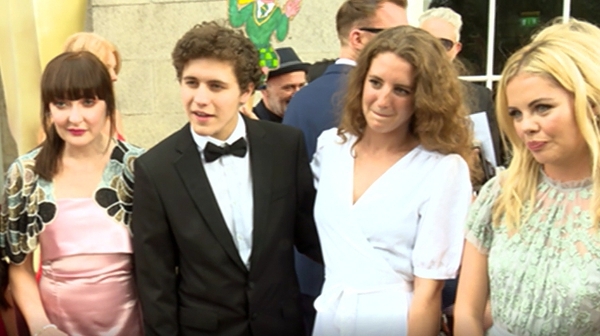 Derry Girls also won Best Comedy and Lisa McGee won Best Writer - Comedy/Soap at the 2018 IFTA Gala Television Awards.